Inspire Windows are proud to offer their highly reputable double glazing services to home and property owners in Newport, South Wales. As a trusted and local supplier of all things double glazing, we have gained over 15 years of experience specialising in supplying and fitting top of the range windows, doors and conservatories to homes and properties throughout Newport and the surrounding South Wales area. With our high levels of experience and knowledge in the double glazing industry, we are know for being consistent in providing UPVC and aluminium products with exceptional skill and service. 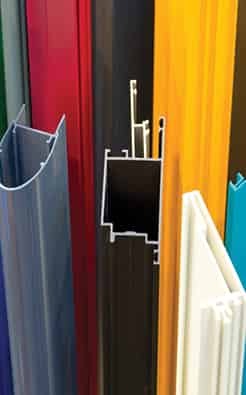 We have a comprehensive range of double glazing products for you to choose from in a wide variety of styles and finishes. From contemporary to traditional glazing designs, you are sure to find what you want when you choose Inspire Windows in Newport. So why choose Inspire Windows? What makes us better from the rest? There are a number of reasons why you should select your new double glazing products from Inspire, and we think that the benefits you will receive when choosing us far outweigh our competitors in Newport, South Wales. Inspire Windows are a fully authorised partner of the innovative REHAU profiling system, fully designed and guaranteed to add value to your home as well as style. With over 15 years experience in the double glazing industry, your Newport, South Wales home is guaranteed to benefit from our exceptional products and service. Because we use A rated Planitherm Glass as standard, and some of the best products and materials on the market, you can be sure that your new double glazing will help reduce the average cost of your energy bills. We are a Certass registered company, meaning you will always receive the highest quality double glazed products for your home in Newport, South Wales. At Inspire Windows, we offer highly competitive prices for all our double glazing products, allowing all our Newport customers to get the best deal possible when revitalising your home in South Wales. If you’re looking for new UPVC windows to revitalise your South Wales home, then Inspire Windows have got the perfect double glazing solution for you and your property. We offer a comprehensive range of UPVC windows, combined with our excellent reputation, you can always rest assured and buy with confidence when buying double glazing with Inspire Windows. What’s more all of our installations are fully certified by Certass, the industry standard for brand new and replacement UPVC windows and double glazing products. Our UPVC windows come in a wide range of styles and finishes that are designed to suit any property in Newport down to the ground, we have the superb yet affordable Casement Window, the perfect solution for anyone looking to revamp their home on a budget, but need a product that is also stylish and secure. We also provide our customers with the highly functional Tilt and Turn UPVC window, an excellent choice if you are looking for a double glazing solution that provides security, functionality and practicality. The Tilt and Turn window is perfect for any home, and can be incorporated into any feature of the property, whether it’s a bow or bay window frame or conservatory. For the more traditional home, Inspire Windows offer property owners the Sliding Sash double glazing alternative, the perfect solution for those looking to maintain the traditional charm and characteristics of their property. The Sliding Sash Window offers fantastic versatility and functionality whilst maintaining that period aesthetic you don’t want to let go of. At Inspire Windows we also offer a range of UPVC & Composite doors for any home owner looking to either change that first impression with a new front door, or open up their living space to the great outdoors with a new set of back doors, no matter what your double glazing needs are, we can provide you with the perfect solution. 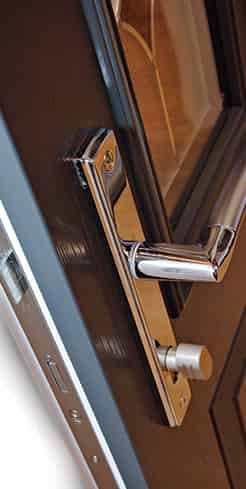 Our most popular product when it comes to obtaining a new front door in Newport is the standard UPVC door, an incredible choice for property owners with either modern or traditional aesthetics as they can be designed to your individual needs, and to suit your existing property down to the ground. As we use Rehau‘s advanced profile technology for all our UPVC doors across South Wales, this choice from Inspire Windows will provide you with a product that will stand the test of time, provide you with low maintenance and will never rot, warp or discolour. We have a range of UPVC doors on offer here at Inspire Windows that are not just limited to front doors. These range from French Doors, Patio Doors, Bi-Fold Doors and Stable Doors, we will have the product you desire. For those looking for a premium front door for their home, but aren’t satisfied with a UPVC or Timber solution, Inspire Windows can offer you with our high quality, market leading Composite Doors. 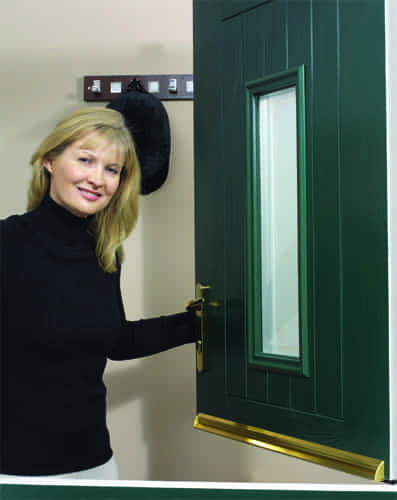 Our premium Composite doors are manufactured with security, style and functionality at the forefront of our minds. They are incredibly hard wearing, durable and made to withstand the harsher Southern Welsh weather. Our Composite Doors offer unmatched security, low maintenance and a design built to suit your desires. If you’re looking for an alternative to UPVC double glazing, then choose our high quality aluminium products, perfect for your home improvement needs in Newport, South Wales. We have a wide range of excellent aluminium windows and doors for all our customers to choose from. We have partnered with reputable suppliers and manufacturers Origin and AluK to bring you the very best market leading aluminium products that are available on the market. With these supply chain partners we can provide Newport home owners with a fantastic range of aluminium windows at highly competitive prices. This UPVC double glazing alternative is designed to be more durable and will last a lifetime. Aluminium windows are incredibly resilient to harsh weather conditions, they will never warp or discolour, meaning low maintenance but also highly secure. Not interested in UPVC or Composite doors? Then choose the aluminium alternative from us here at Inspire Windows. We supply and install only the very best aluminium doors to homes and properties throughout Newport. Much like our aluminium windows, these doors are built with the very best materials and tested to withstand harsh weather conditions, whilst being highly functional, energy efficient and secure. Want to know roughly how much you’ll be paying for your new double glazing in Newport, South Wales? Well you can find out in a matter of minutes with our very own bespoke online price generator. It’s simple, easy to use, and all you need at hand are your required measurements for those new UPVC windows, doors or that lush new conservatory you’re looking for. If you’re a home or property owner in Newport and our double glazing products are for you, then do not hesitate to contact us now! Head on over to our contact area and simply fill out the available contact form and we’ll get back to you as soon as we can. Alternatively you can give us a call directly on either 02920 734573 or 02921 321037 and we’ll be happy to help you and provide any advice you are looking for concerning your new UPVC windows, UPVC doors or conservatories for your Newport property. Our highly expert team of staff will always be on hand to answer any questions or queries on double glazing technical, pricing and ordering information. Why not book an appointment and pay us a visit in our office, for a more personal experience with us here at Inspire Windows. Why not design your perfect double glazing products and receive a tailored quote in moments with our easy to use online quote engine below.